A collection of frequently asked questions and answers to help you with pre-sales, services and technical information. > Can Digital Dreams organise my domain name registration? Yes. We can register your domain name with a number of different domain extensions available. The most common domain name extension in Australia is ".com.au" and we have access to many more including international domain extensions. > What if I have already registered a domain name elsewhere? We can transfer your existing domain name to Digital Dreams and in most cases there is no additional charge to transfer your domain name. > How long does it take to design and create a website? This depends on the complexity of your website and the time-frame for which content is provided to us. A basic website generally takes about 4 to 8 weeks to complete if we have all the content needed for it. > Can Digital Dreams revamp or improve my old website? Yes. This is something that we do all the time and is recommended to do regularly to keep your website up to date and ahead of your competition. > Can Digital Dreams provide images for my website? Yes. We have access to a library of images available which we can use on your website. We will ensure that the images are relevant to your business. > Can Digital Dreams create my new website in different languages? Yes. We can create your website in a different language or in several languages and have the visitor choose which one is best for them. > Can I update my website when it is complete? If you have a small website or wish to make changes to it infrequently, then it is generally more cost effective for us to make these changes for you. We can also set up a system so that you can easily edit parts of your website yourself at any time. Other than these two options, if you have the knowledge of HTML, PHP and CSS, we can provide you with direct access to the source code. > Can Digital Dreams host my website? Yes. We can set up your hosting account for your website and email on one of our fast Australian servers. > Where will my website be hosted? 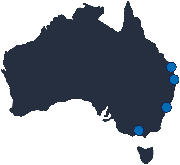 Your website will be hosted within Australia in one of the data-centres located in Sydney, Melbourne and Brisbane. > What if I am already hosting my website somewhere else? As long as there are no compatibility issues, we will be able to help you move your website, domain and email over to our fast hosting servers in Australia. > Can I manage my own hosting? Yes. All of our hosting accounts can be accessed by a control panel so that you can manage your domain, email accounts, FTP, files, backups, etc.